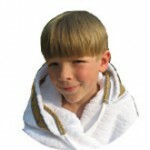 Towelhoodies are hooded towels for babies, children, and even adults. Designed with round hood and 100% cotton terry cloth, Towelhoodies are a comfort that everyone loves. As a baby shower gift, Towelhoodies are lamented by every mom as something she used often with her new little one and were designed to allow plenty of room through the years as they grow. beach towel for pool or beachside. Its softness and durability endure through numerous washings, Towelhoodies absorb moisture and deliver the same warmth and comfort you’ve come to expect. Check us out and customize your hooded towels with jacquard ribbon trim. And by popular demand we are also featuring adult hooded towels.